Today is International Women's Day. See here for the Asia Foundation's summary of discussions of some of the challenges now facing women in Asia. Is it necessary to say Asia is a region where the message that women are not subhuman still needs to be shouted from the rooftops? Against the general backdrop of a widespread inequality now unthinkable in the West, what are Asia's readers and writers doing to mark the day? As noted in the post on Wednesday, the Shanghai International Literary Festival yesterday hosted an event on women's writing: what is it, and does the question matter? Shanghai is not the only Chinese city currently hosting a literary festival: yesterday the Bookworm Literary Festival (BLF) began in Beijing. The Bookworm offers a combined bookshop, lending library, bar, restaurant and events space in each of three cities: Beijing, Suzhou and Chengdu. Every March, BLF transforms the Bookworm in Beijing into a hub of literary, intellectual and creative activity in a giant celebration of literature and ideas, that brings together diverse voices from China and beyond – later, the Festival transfers to other cities. This year the programme has more than 300 events across 8 cities, connecting more than 100 Chinese and international writers and thinkers. BLF is today offering a variety of events for International Women's Day.Feminism in the 21st Century World features three prominent feminist writers and commentators. Hong Ying, known for her gritty portrayals of women's lives in contemporary China, Bidisha, one of Britain's most outspoken feminists and human rights thinkers, and the award-winning French novelist Carole Martinez will discuss the importance of feminism in the 21st century. What does contemporary feminism stand for? What does feminism mean in China, Europe and elsewhere, and what does it mean on an international level? Zhang Lijia, the Chinese author and journalist, will moderate. Sexual health and sexuality are issues generally swept under the carpet in China. But attitudes towards sexuality and sexual habits are changing. Young people are more sexually active, and with more freedom over their sexuality, than in the past. At the same time prostitution and a culture, amongst men, of infidelity are on the rise. All of which poses risks, both physical and psychological, for women in China. In Women’s Health and Sexuality in China Joan Kaufman, who has worked on reproductive and sexual health in China since the 1980s, Huang Yingying of the Renmin University Institute for Research on Sexuality and Gender, and Dr. Setsuko Hosoda, Family Medicine Physician at Beijing United Family Hospitals and Clinics discuss these important issues in contemporary Chinese society. 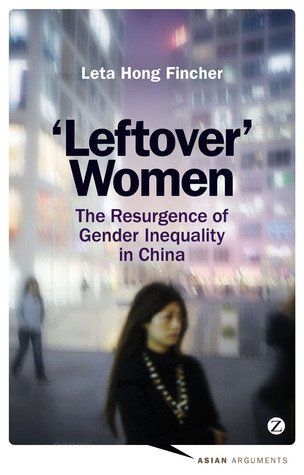 In May Leta Hong Fincher, an award-winning former journalist who is now completing her Ph.D. in Sociology at Tsinghua University will publish Leftover Women: The Resurgence of Gender Inequality in China, as part of the Asian Arguments series from Zed Books. Leftover Women will argue that urban professional women have been disproportionately disadvantaged during China's breakneck economic development. Hong Fincher will today discuss China’s gender inequality at BLF. In Female Voices in China, writer and editor Ma Xiaotao, acclaimed novelist Xu Xiaobin, and the radical voice of China's 1980s youth, Chun Sue, will discuss with editor Alice Xin Liu how the female voice is being heard in the Chinese literary world and to what extent it is making an impact beyond the confines of literature. Have a thoughtful day!